We talk a lot about the social media revolution, think of QR codes like the content revolution, it’s a crisp and creative way to extend your customer’s experience with your brand and more importantly it’s a way to do the same thing with someone who is NOT your customer…yet! Hint: if you’re looking for a career in marketing or communications and you want to show innovation, why not creatively incorporate a QR code in your application/resume, it’ll be a sure winner. You can’t always be around to elaborate on your material, so use something that most people have on them all the time…a smartphone. 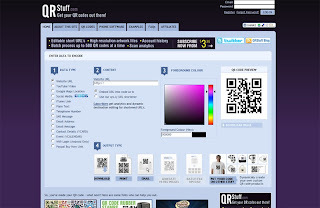 You can use QR codes on any number of signage, brochures, packaging, etc. just be sure not to use them ‘just because’. With no value add or by giving nothing to a fellow QR code scanner, you take away a possible experience, so always ask you self, ‘Why should I include a QR Code?’. Even in today's world with all the gimmicks, why do people ask you to sign up on paper? Make life easier for both you and the person signing up and instead, have them scan the QR code, which takes them to a form and a special offer; easy right? Whether you’re building a website, a brochure or simply a one paged publication, it’s all about the user experience. What if you want to deliver more images, video or something more compelling? 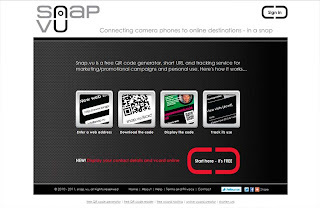 A QR Code part of the copy may just be the easiest and cheapest way to do this. Here’s the point: the best reason for using QR codes is to extend the content experience and engagement with your brand. Learn to leverage this for your business and you’re well on your way to building some real digital marketing. 2. 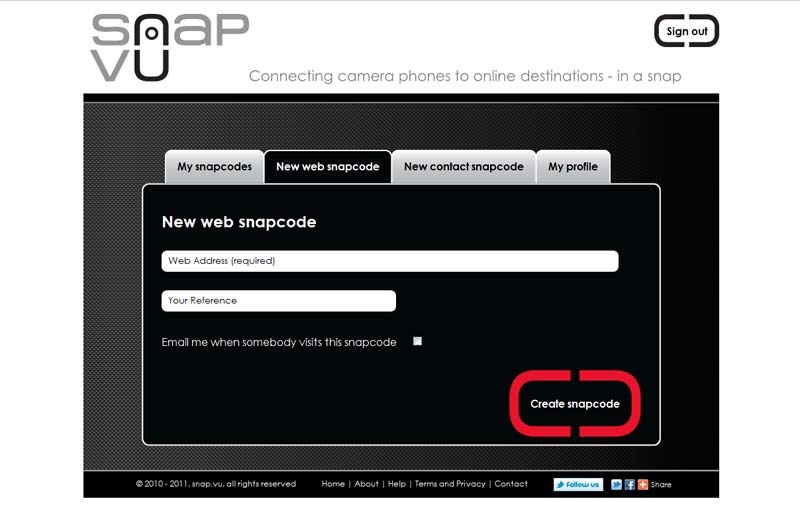 Click on the tab named "New web snapcode". 3. 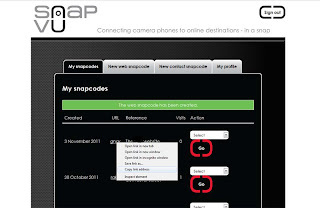 In the textbox marked "Web Address (required)" enter the URL that the QR code needs to link to. 4. In the textbox marked "Your Reference" enter a link reference name. 5. 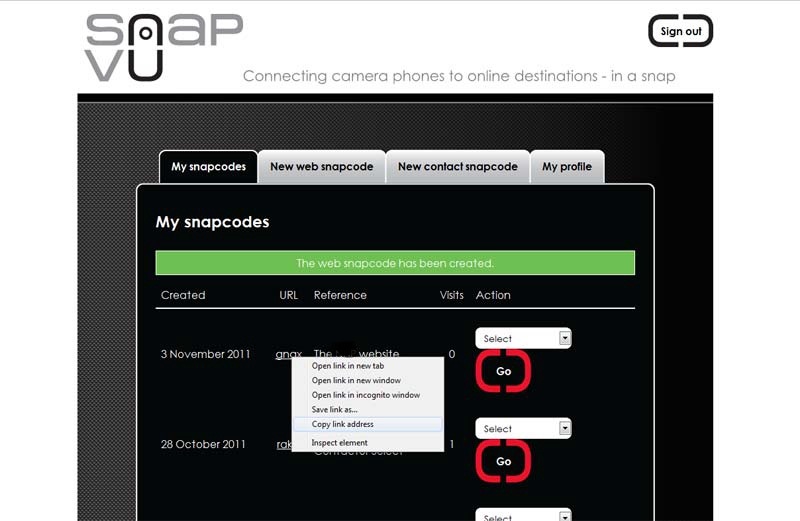 Click on "Create snapcode". 6. Then right click on the URL link for the newly created snapcode, and select "Copy shortcut". 8. Select the  Data Type i.e. website URL. 9. On the  Content Section, right click on the "Website URL" textbox and paste the copied link. 10. Select QR Code  Foreground Colour and select the  Output Type. NOTE: Make sure you test the QR code to check if it goes to the right link. URLs are old school, and QR codes are new age. With mobile technology advancing all the time, people have a thirst to consume information faster than ever before. QR codes may just assist you in delivering just that. And remember, be sure they add value! QR Codes are useful but are NOT the next biggest thing.